Welcome to East Claydon C of E School – a small Christian community set within a beautiful rural landscape. 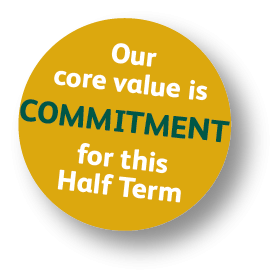 With half-form entry (only taking 15 children per year group), we aim to create a true family-focused community, where every child is understood, valued and supported to become an lifelong learner and thoughtful custodian of our world. Children can join us from their second birthday in our thriving Pre-School. When they join us, one of our Pre-School team becomes their key worker; building a strong nurturing relationship with each child so that we can support their development and extend their passions. Our beautiful environment, both inside and out, invites children to explore, challenge themselves and learn new skills alongside their friends. active participants in their personal journey, choosing the learning pathways that most interest them. I am very proud to be the Headteacher of this fantastic school – it is a real privilege to work in close partnership with our parents and the local community so that our children can be inspired to become lifelong learners who are empowered to follow their dreams. I would be delighted to share our school with you and warmly welcome you to come and look around and see our children at work and play. If you would like any further information or a paper copy of the content on this website please contact Miss Liz Springs, our Office Manager using the details above.